I realize I have been a little sluggish on writing more frequent blog entries this year, but I have a good reason. I’ve been busy producing a series of land stewardship videos for the Hill Country Land Trust. 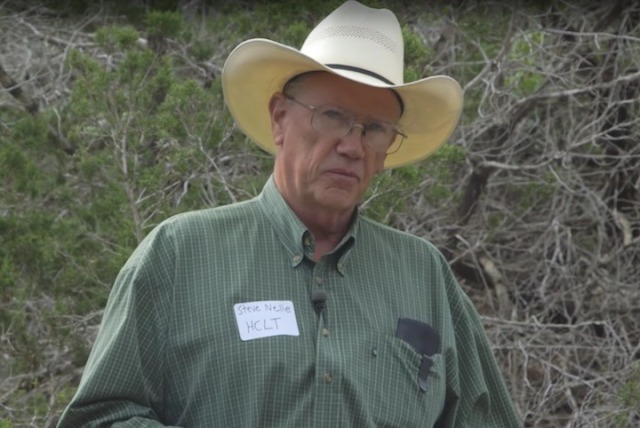 We’ve been very fortunate to have range and natural resource specialist Steve Nelle as our host, along with Scott Gardner, manager of the CL Browning Ranch in Blanco County, to share their expertise and insights. Our videographer, Aaron Weiss, of One Story Productions has made these educational videos beautiful to look at. Our intention with each video is to explore familiar land management topics in a fresh way, by providing both a science-based overview as well as detailed information on specific methods and tools. HCLT will publish 4 videos in 2016, and anticipate continuing with at least 3 more topics in 2017. To make these videos even better, I welcome all comments and questions. Also, if there are topics you would like to see us work on, please don’t hesitate to let me know what they are. Here is a link to our latest video on Managing Ashe Juniper (Cedar trees). All videos will be archived on the Hill Country Land Trust website. Click on this link here to view.